-Developers and Investors; Cambie Corridor Phase 3 site. -Areas Proposed For Change document from City of Vancouver shows the subject site as Apartment (up to 4 storeys strata / 6 storeys rental). Subject site is located on the south-west corner of Ash Street and McGuigan Avenue. This site is just steps away from Queen Elizabeth Park which includes Seasons Restaurant, Pitch and Putt Golf, Garden and the Observatory. 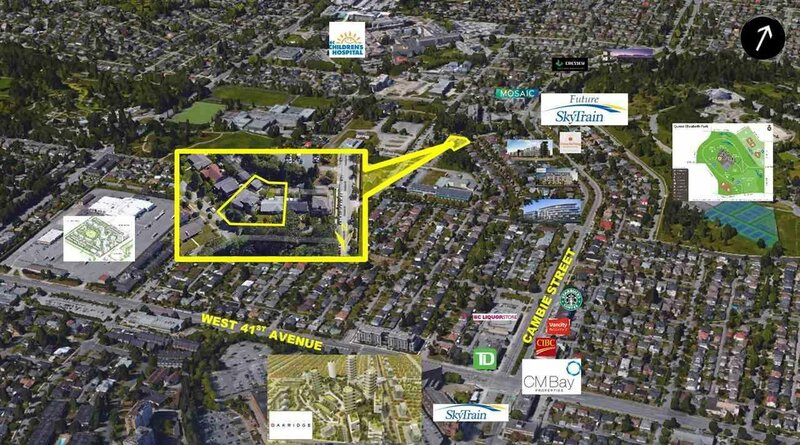 The site is walking distance to the Oakridge Center and the SkyTrain Station. Also listed as residential det #R2203211. Listed By: Sutton Group Mattu Realty Ltd.